Wintertime is upon us, and while many people associate the weeks ahead with snowfall, Santa, and sleigh bells, it also means we're indoors a lot more. And if you live in colder climes, it's common to spend 90% or more of your time inside, venturing out only when it's absolutely necessary. While that kind of cooping up can lead to cabin fever, it can also make you ill in other ways. The more you're indoors, the more exposure you may have to environmental contaminants, which is why this week, Green Dad turns the spotlight on indoor risk factors — and deals on handy products to help keep you safe, all winter long. Radon is a radioactive gas produced when uranium in soil decays naturally. You can't see, smell, or taste it, but it's a serious threat. The U.S. Environmental Protection Agency and the Surgeon General's Office estimate that as many as 20,000 lung cancer deaths are caused each year by radon, making it the second leading cause of lung cancer. By some estimates, up to one in three homes may have radon levels that exceed recommended safety levels. 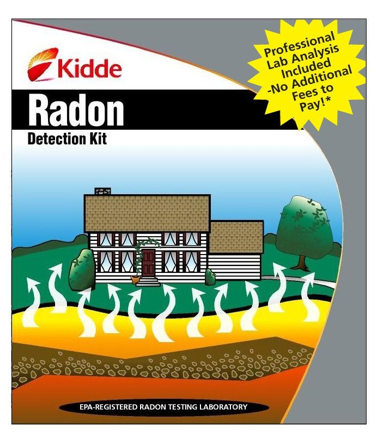 A quality radon detector will cost you $100 or more, so before you take that step, invest in a Radon Test Kit ($14.67 with free shipping via Prime, a low by $4; or $13.79 with free s&h w/$50 at Target). This kind of test kit will determine the levels of radon gas in your house and measure them up to EPA standards. This kit also comes with a return mailer envelope for professional lab analysis. Here's a hazard that folks with older homes will want to investigate. Lead-based paint was common until the late 1970s, and may still exist under layers of more recent paint. That means sanding or remodeling, for example, can kick up lots of lead dust. 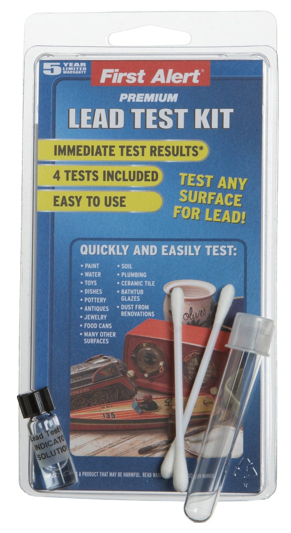 First Alert makes a home Lead Test Kit ($10.76 with free shipping via Prime, a low by $1) that can test for lead on up to four separate surfaces with immediate results. Like radon, carbon monoxide is colorless, odorless, and dangerous. It binds to hemoglobin and displaces oxygen in your body causing neurological mayhem. Symptoms include headache, fatigue, dizziness, and confusion. In more serious cases, carbon monoxide poisoning can lead to cardiac arrest. 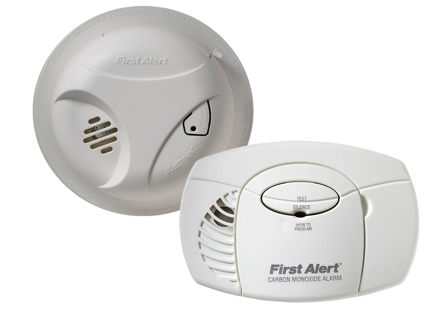 First Alert sells a Smoke Detector and Carbon Monoxide Detector Combination Pack ($25.88 with free shipping, a low by $3; or $25.88 with pickup at Walmart), which comes with a 5-year warranty. The smoke detector uses modern ionization smoke sensing technology, and the CO detector uses an electrochemical sensor to sniff out the toxic stuff. While pesticides are commonly used to keep bugs away, their residue can become part of household dust, and that can have potentially dangerous effects: Complications from pesticide residue range from headaches and nausea to convulsions and muscle weakness. Green Dad is a fan of the products sold by Chicago-based Plus Natural Solutions. A 4-oz. bottle of concentrated cedar oil ($15 with $11.95 s&h, a low by $3) is enough to make two gallons of bug spray. While that tiny bottle makes quite a bit of product, you may want to try the eco-friendly route at a lesser cost at first, in which case the pictured pre-mixed Badger's Anti-Bug Shake & Spray ($12.95 with free shipping, a low by $2; or $9.99 with free s&h w/$25 at Vitamin Shoppe) is an enticing option. It's DEET-free and good for the skin. Depending on where you live, the water from your tap may contain an ocean of contaminants, ranging from pharmaceutical residue to a plethora of toxic chemicals. If you live in a big city, never take for granted that the tap water is safe. This summer, the Chicago Tribune reported dangerous levels of hexavalent chromium in the city's tap water — levels 11 times greater than what California law allows. The filters made by PUR, while they seem to expend themselves more quickly than I'd like, have been a staple in the Green Dad household for the last decade. 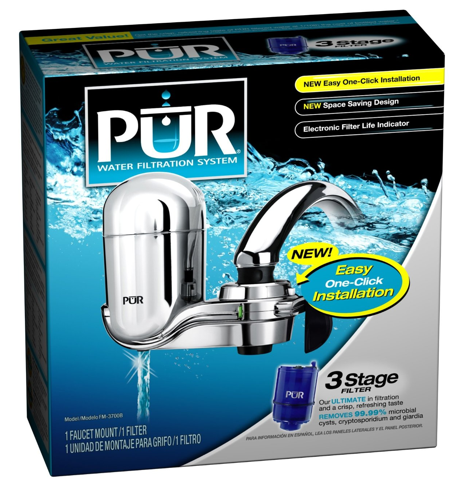 PUR's 3-Stage Vertical Faucet Mount with Starter Filters ($26.88 with free shipping, a low by $7) removes 99% of heavy metals including lead, asbestos, trace pharmaceuticals, and microbial cysts. These are just some of the green products you can invest in to ensure the safety of your family during the holidays and all year round. Remember that a healthy and eco-friendly home is a happy one.